Beatles fans are up in arms after it emerged that visitors are to be denied access to Ringo Starr’s birthplace. It had been hoped that the National Trust would take on the property in Liverpool, adding to its collection of Beatles homes which are now bustling heritage attractions in their own right. Thousands of tourists flock to see the childhood home of the drummer, at number nine Madryn Street, along with other landmarks in the early life of Sir Richard Starkey. The two-up, two down terraced house in Liverpool was saved from demolition in 2012 after a hard-fought campaign, led by the Save Madryn Street group. Social housing company PlaceFirst won the contract to redevelop the property, along with more than 600 others in the Welsh Streets area of Toxteth in 2017. Fab Four fans and local tour operators were looking forward to seeing Madryn Street re-opened later this year and believed that number nine would be open to public visits. Council chiefs had long ago pledged the house would be preserved and fans expected it would join the homes of John Lennon and Paul McCartney, as visitor attractions operated by the National Trust. 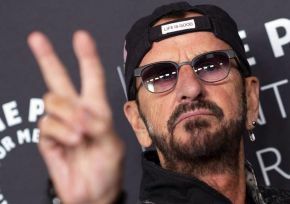 But now the developers have revealed that their offer to lease Ringo’s birthplace to the National Trust was turned down. Instead the property will be renovated and left vacant, because the developers believe that no-one would want to live in a house that is the subject of constant attention. Save Madryn Street campaign founder Steve Barnes is appalled. He said: “This is a golden opportunity to preserve an develop a vital part of Liverpool’s Beatles Heritage. “Tens of thousands of fans visit Madryn Street and other Ringo landmarks every year. There are coaches and taxis rolling up with tourists every day of the year. “Clearly, not all of them can walk around a tiny terraced house. But when the street is re-opened they will want to pose for a photo outside number nine. Many of them are astonished that Ringo came from such humble beginnings. “As tourist guides we had expected that the National Trust, or some other body, would take it over and operate the house as a destination, with carefully controlled access. “This is what has happened at John and Paul’s houses and it works very well. It’s crazy to mothball it. I can’t understand why they wouldn’t want to add Ringo’s house to list of destinations, now that it has been saved for posterity. “PlaceFirst is a Manchester firm, so perhaps they don’t understand the strength of feeling about this. “Seeing the National Trust turn Ringo’s house down is appalling. It smacks of class prejudice, based on Ringo’s working class roots, and his birthplace being seen too small and insignificant. “If these outsiders will not take it on, Ringo’s Birthplace should be preserved and managed as a resource by a Liverpool-based charity. The man who raised the cash to fund Liverpool’s first Beatles Statue in the 1970s is also concerned. John James Chambers, president of the Liverpool Beatles Appreciation Society (LBAS), said: “This is beyond belief. “I really can’t understand why the National Trust would turn their backs on such a golden opportunity. “In the 49 years that we have been running the LBAS we have seen the interest from tourists grow, year on year. “In the seventies they laughed the thought of Beatles tourism and demolished The Cavern, but then they had to rebuild it. “Now they are gutting Ringo’s house and leaving it sealed-up. It’s history repeating itself and hard to believe they can be so stupid. Paula Coppell, widow of Phil Coppell, late Chairman of the Save Madryn Street campaign, condemned the move. Paula said: “Liverpool City Council should step-in to make sure that Ringo’s house is properly preserved. David Smith-Milnes, Managing Director at PlaceFirst, defended the firm’s decision. He said: “We are rightly proud of what has been achieved in the Welsh Street, turning these properties into high quality modern homes. “We are a housing company, not a tourist operator. We offered number nine Madryn St to the National Trust but it was declined. “We understand that this property holds significance to Beatles fans, so we have decided to deal with it in as sensitive manner as possible. “The house will be renovated, like all the others in the street, but we recognised that it cannot be tenanted because of the interest from tourists. A National Trust spokesman said: "The National Trust is not in a position to acquire No 9, Madryn Street, former home of Ringo Starr. "Where possible, the Trust takes on properties of significant historical interest which are about to be lost to the nation. “However, as a charity, it does not have the resources to acquire all the properties it would like. “Accordingly, the Trust can only take on those properties where funds are in place to pay for the up-front purchase price and where it is confident that the property can generate sufficient funds to cover all the costs of looking after it in the future. “None of these criteria apply in the case of No 9 Madryn Street. "Unlike the childhood properties of John Lennon and Sir Paul McCartney, Ringo resided at Madryn Street for a very brief period, early on in his life. “Consequently, the significance of the house in terms of musical influence or development was insignificant compared to Mendips and 20, Forthlin Road. History tells us that the Beatles lived in more than a dozen houses during their collective childhoods and it would not be realistic for the Trust to try and acquire all of these buildings."